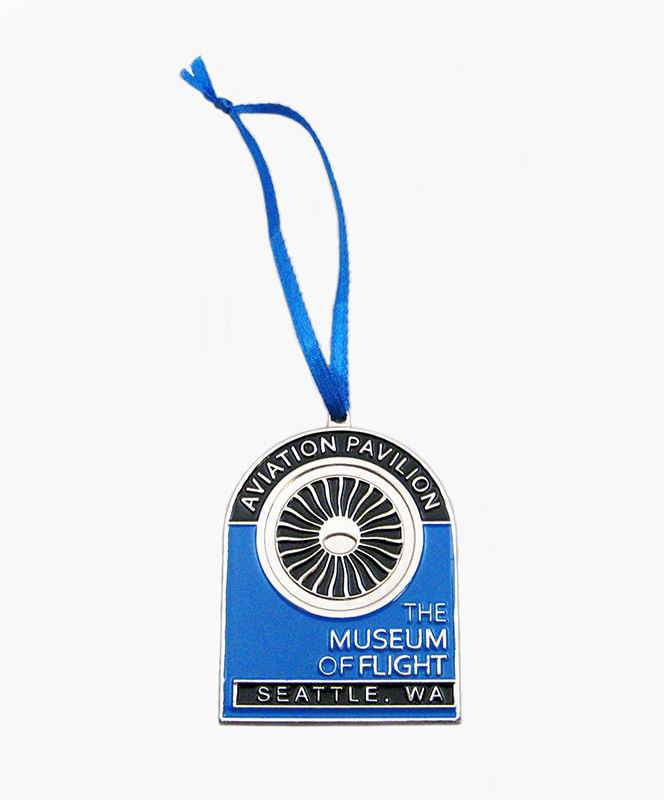 Inspired by the large commercial aircraft in The Museum of Flight's new Aviation Pavilion, the Jet Engine Ornament is a metal and enamel ornament. The ornament features a close up view of a jet engine fan with Aviation Pavilion, The Museum of Flight Seattle, WA above and below. The ornament measures approximately 2" x 2.5" with a blue ribbon for display. For more information on the new Aviation Pavilion, please visit The Museum of Flight's website, http://www.museumofflight.org/explore-the-museum/museum-galleries/Aviation-Pavilion.